The aging of the Baby Boomer population is the primary reason behind the drive to recruit more long-term care workers. At the present time, the population of Americans over the age of 65 is higher than any other point in history. The senior population is expected to increase by 75% between 2010 and 2030, which will push the number to about 69 million seniors. Nearly 80% of those seniors suffer from some type of chronic condition – many of them will have multiple chronic complexities that will need long-term care. This segment of the population commands the bulk of health-care services. Certified Nurse Aides play a major role in the delivery of the direct care services to those in need to long-term care. They feed, dress, and bathe patients, take vital signs, serve meals and make beds, set up medical equipment and assist with medical procedures, and answer calls for help. CNAs work closely with patients and spend more time with them than other members of the healthcare team. As a result, they are able to observe critical changes in patients’ physical and emotional state. The projected demand for CNAs in acute care and long-term care facilities explains the increase in capacity for training these workers at colleges, nursing homes, and proprietary institutions. The Nurse Assistant Skills Training (CCNAST) at Washtenaw Community College operates with approval from the State of Michigan. The curriculum includes instruction in the classroom and supervised clinical experiences in a skilled nursing facility, and graduates are prepared for employment in a variety of health care settings. For employment in a long-term care setting, graduates must complete the CNA evaluation. Three weeks of classroom and clinical instruction cover vital signs, the role of the nursing assistant, mental health, infection control, anatomy and physiology, communication, rehabilitation and restorative techniques, nutrition and feeding, patient rights, patient transfers and emergency procedures. Students must attend 100% of the classes to graduate from the program – make-up days are not available. The total class/clinical time is 100 hours 45 lecture hours, 30 lab hours, and 25 clinical hours. Applicants must be 17 at least 17 years and provide documentation of a negative TB status. Entry will be contingent on the outcome of an entry assessment and a criminal background check. 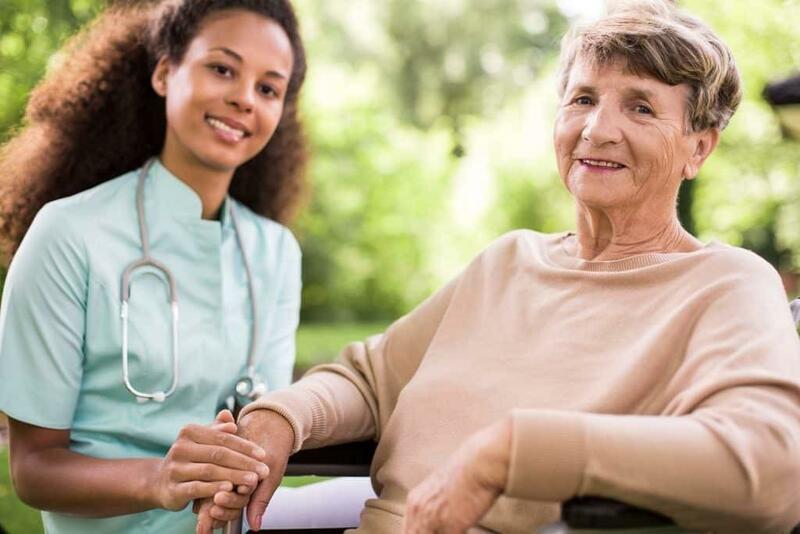 HCR ManorCare facilitates a state-approved nursing assistant program to prepare students for an exciting career in acute care or long-term care. Students will participate in the interactive lectures conducted in the classroom and have opportunities to develop clinical skills in the lab before participating in a clinical experience, which takes place under the supervision of a registered nurse. Areas of study include medical terminology, anatomy and physiology, infection control, patient rights and independence, mental health, interpersonal relationships, safety and emergency, death and dying, personal hygiene, laws and ethics, and much more. Applicants must be able to communicate well, follow directions and complete assigned tasks. Those will prior healthcare experience will be given preference. Graduates may have the opportunity to join HCR and work in the areas of hospice, home health, post-acute medication and rehabilitation, skilled nursing care, or assisted living. Heart to Heart Healthcare Training conducts the nursing assistant training program with approval from the state of Michigan. The training includes classroom lectures, hands-on lab practice, and supervised clinical experiences in a skilled nursing facility. Course topics include vital signs, infection control, medical terminology, roles and responsibilities of a nursing assistant, feeding and nutrition, patient transfers, communication, emergency procedures, and hospice care. Two class schedules are available. The day classes meet Monday through Friday from 8:00 am to 4:00 pm for two weeks. Evening classes meet Monday through Friday from 5:00 pm to 10:00 pm for three weeks. Tuition for the program is $850 and includes textbook, workbook, one pair of scrubs, and a pre-exam review. Students must make a deposit to reserve a seat in the class. The balance must be paid before the first day of class. The nursing assistant certificate program at the Adult and Community Education Center runs for 11 weeks and prepares students for employment in hospitals, nursing homes, home health, private duty, and hospice. Instructors emphasize safe and competent basic patient care skills. Included in the 11-week program is one week of clinical experience in a long-term care facility. The clinical sessions are 5.5 hours each day. The classroom sessions are Monday through Thursday from 5:30 pm to 9:30 pm. Applicants must provide proof of age at the time of registration. A birth certificate, passport, driver’s license or ID must be presented to admissions. 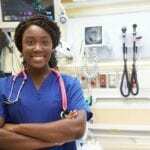 A background check is required to complete the clinical internship. Graduates will receive a Certificate of Completion and will be eligible to take the state certification exam. Tuition for the program is $1,500. The non-refundable registration fee is $60. Books and supplies cost an additional $150.